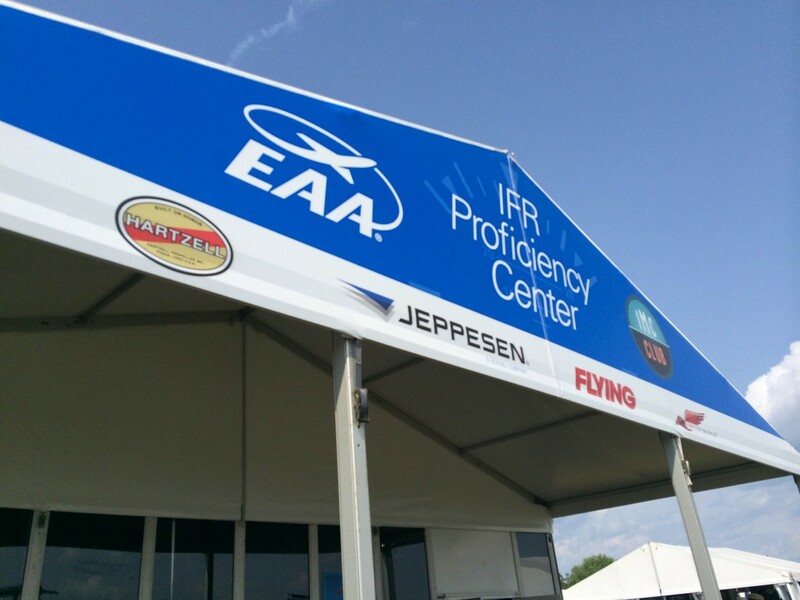 Last year, we partnered with EAA, FLYING magazine, Jeppesen, the National Association of Flight Instructors, the IMC Club, PilotEdge and Redbird Flight Simulations to establish the IFR Proficiency Center at Oshkosh. This year we are proud to announce that two other leaders in aviation safety, MindStar Aviation and the Society of Aviation and Flight Educators, will be joining the us to build on last year’s success. The 2015 EAA Pilot Proficiency Center will feature daily Tech Talks from industry experts. Certified flight instructors will be on hand to talk to conference-goers and answer questions and the Red Bird will once again provide top of the line simulators for practicing IFR and VFR flight scenarios. The Proficiency Center was a big hit in its debut year. Thousands of pilots took advantage of the interactive education opportunity to improve their skills in IFR flying an basic airmanship. The simulations offer a safe environment to take on challenging real-world flight situations. That practice, which was impossible in the past, can be invaluable when difficult conditions arise in the air. The EAA Pilot Proficiency Center will be located inside the Oshkosh exhibition area, east of the air traffic control tower.